Rockwool is a favorite growing media of hydroponic growers. Those who use irrigation systems to grow plants often use this growing medium. Denmark is the origin of stone wool or Rockwool. Years ago this material was used for insulation only later than people of Denmark try to grow using rockwool and they get 100% success in it. Then this growing medium became the first choice of hydroponic growers worldwide. This material is also called mineral wool and it comes in many different sizes and shapes. Its moisture and oxygen retain capabilities make it suitable for indoor growing especially where we do not soil to grow a crop. In this article, you will learn everything about mineral wool, stone wool, rock wool. What are the Rockwool cubes? Rockwool is manufactured by heating the mixture of basalt rock and chalk. After heating at very high temperature the mixture became lava (hot melted liquid). This melted mixture is used in a spinning chamber to make fibers. These fibers are then mixed with the binding agent and with the help of pressing machine mats are formed. mats are then cut into different shapes and sizes to full fill demand of growers. The structure of Rockwool helps them to hold more water and oxygen than the soil and other growing mediums. Before using them, you have to discover what is your growing problem. If your plants need more moisture and oxygen than go for rock wool. You can also mix them with the soil or other growing mediums. Most people use rockwool for seedling and cloning process as we already mentioned they retain a high percentage of moisture and oxygen for a long time. If you are using Rockwool this means you are using a natural growing medium because they are manufactured from all-natural ingredients. Growing plants in a totally natural medium are always the better choice. Organic growers can also use them to grow organic crops because Rockwool is all natural wool. Some growing medium block the uptake of nutrients and plants do not receive many nutrients. This results in a nutrient deficiency in plants which lead to an unhealthy stage of growth. Mineral wool allows the roots to transport the nutrients and oxygen to all parts of plants without any issue. Experts advise beginners to use the small piece of rockwool for seedling and cloning. 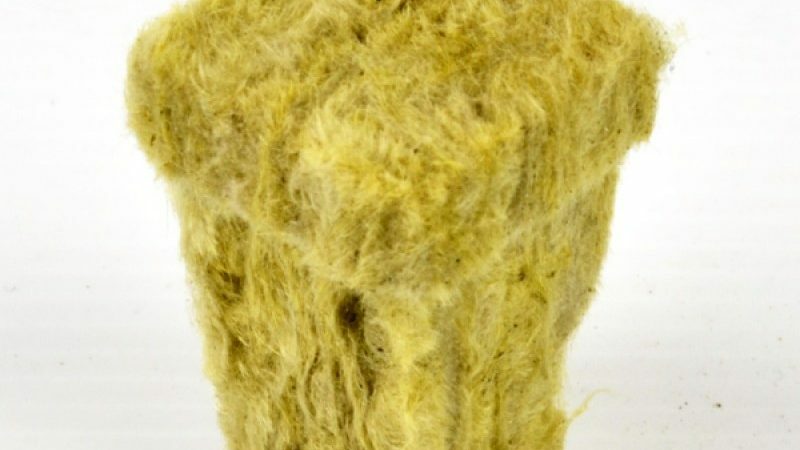 How to prepare Rockwool for use? You cannot use them before preparing them for the hydroponic system. Preparing them in very simple steps. Actually, the pH level of Rockwall is very high and unstable which is not good for the seedling. The use of unstable growing medium lock down the nutrient supply to your plants which ultimately kill them in a few days. First of all, take out the Rockwool cubes from the pack and soak them in luke-warm water. I prefer to use distilled water but if you only have tap water no problem you can use it. Tap water is also good for this process. Now measure the pH level of water and add a few drops of pH down solution to lower down the pH level to 5.5. once you get eh desired pH level reading on digital pH meter, leave them dipped into the water for about 2 hours and then again measure the pH level. If the meter shows reading below 5.5 than it is okay to use them or if the reading goes above 5.5 add more drops of pH down solution. Rockwool needs special care if you are planning to use them. This is their drawback whereas other medium do not need this much care but when you became an experienced grower you will find is easy to handle stone wool. Below are the do and don’ts of using them. Do not rush while preparing Rockwool. The natural pH of them is very high which is deadly for plants. they do come in ready to use condition so take your time to prepare them. Protect yourself while handling Rockwool. Wear protective gloves and mask so that you do not inhale the fibers and dust. Protect your lungs and internal organs from getting damaged by fiber. It is also recommended to wear protective eyewear to protect them for getting damaged. The material of Rockwool might be allergic to some people so wearing full sleeves t-shirt gloves are recommended. Do not squeeze them as this can damage the entire structure of it and this result in the improper flow of nutrients. Al you need to do is just shake it well after getting out of the soaked water. Rockwool cubes have excellent water holding capacity. When the power goes off your hydroponic system will stop working. This cut down the circulation of nutrient solution and we all know in a hydroponic system if plants do not get nutrient they will die in minutes. Here comes the need of rockwool cubes they hold the good amount of water in them which provide nutrient and moisture to the plants in power failure conditions. The fibers hold 15% more oxygen than the soil. Growers use Rockwool cubes for seedling and cloning. Rockwool cubes are famous for the germination process. In germination keeping the high level of moisture is important but this does not mean put your seeds in so wet place where they get die due to the very high content of water. It is important to keep the balance between the water level and moisture. This grow medium help growers to maintain a healthy environment for germination. The fiber structure of cubes let the excess of water to out of the system by keeping the enough for plants. Propagating new plants from old healthy plants is an easy process but one should be care full while cloning plats. Grow medium plays an important role when it comes to propagating new and fresh plants from old mother plants. Growers are advised to maintain the right level of humidity for the development of new roots. If the cuttings get dried means out of the water this will destroy the whole process. 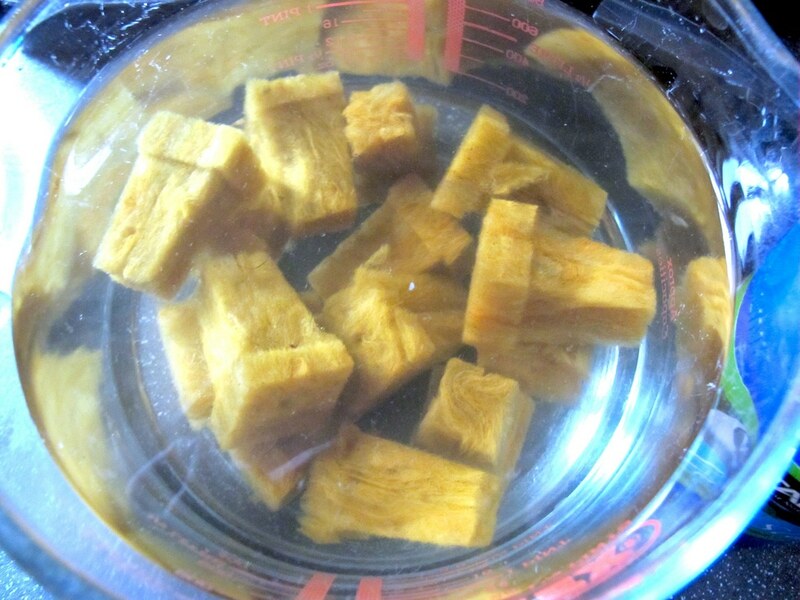 To keep them from drying growers use Rockwool cubes. They are totally inert means they do not contain any bacteria or disease because the manufacturing process the mixture gets heated which kill the bacteria. 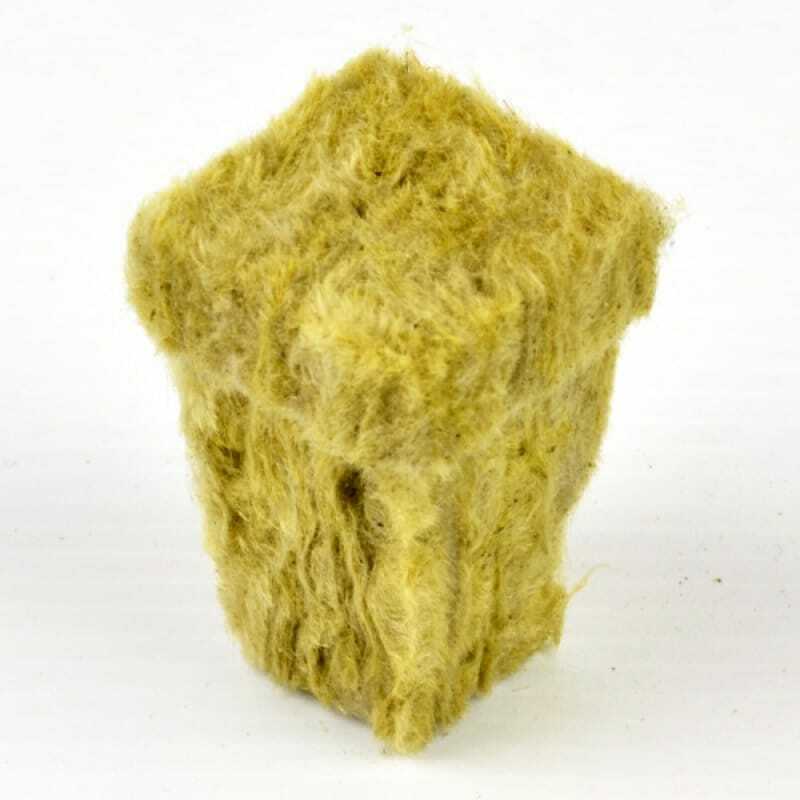 Can we re-use Rockwool cube to grow new plants or for propagation? Yes, you can re-use it. clean them by dipping into the warm water, prepare them again by using the above-mentioned process. For example, if you grow basil by using Rockwool it is best to regrow the same variety of plants the second time. Does Rockwool absorb or hold water content? Yes. Rock wool absorbs water in it but only in limited quantity this is the reason people use it to keep the roots of new growing plants moist for a long time. The moisture holding capabilities are extraordinary and make it suitable for all growing systems. Why choosing a growing medium is very important? Growing medium directly affects the health of your plant. If you use incompatible medium this results in the death of a plant. For example, you grow plants which need more water and use grow medium which is not able to hold the water content this will result in damaging the plant permanently. So use grow medium according to your plant type and requirements. How long do I need to soak Rockwool before use? As long as the pH level is high and does not come to the desired level which is suitable to grow greens.